My Domestic Monastery: Day 21: Which Vocation is Better? Day 21: Which Vocation is Better? So what exactly does that mean? 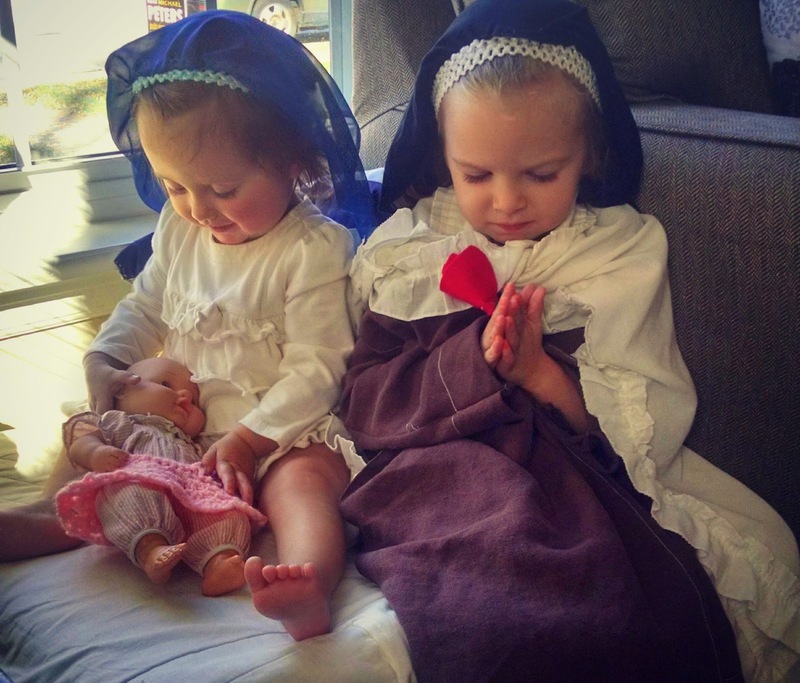 Is it better to be a priest or a monk or a nun than it is to be married and have children?! When we talk about religious life being the "higher" calling, we're not saying that holiness can only be found in that vocation. We're not even saying that it's "better" than a call to family life. What makes religious vocations a higher calling is that they mirror what all of us will be called to when we die and (God willing) are in heaven. We're told that, in heaven, they neither "marry nor are given in marriage" (Matthew 22:30). The religious life is a foretaste of what life will be in heaven - a freedom to totally, unreservedly love God. However, marriage and family life is essential, not only for the propagation of the species, but also because of what they represent. Marriage is an image of the love of Christ for His Church. In the devotion of spouses for one another, we are constantly reminded of the incredibly love that Christ has for all of us. So which vocation is better? The best vocation of all is the one that you are called to. Whether you have been called to an ordinary monastery or a domestic one, God can lead you in holiness...right where you are.